More taped interviews have surfaced showing actor Morgan Freeman making sexually suggestive remarks to women trying to do their jobs. The caught-on-tape comments were unearthed when Entertainment Tonight checked its archives in the wake of a CNN exposé that cast the Oscar winner as a serial sexual harasser. 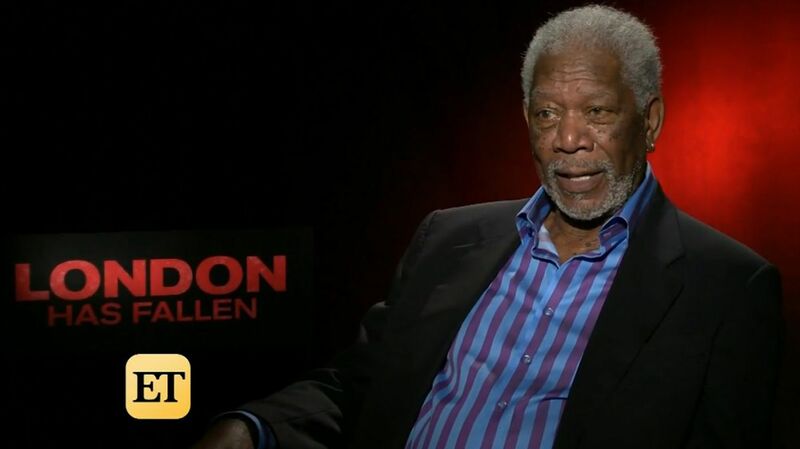 While promoting his 2016 film “London Has Fallen,” Freeman sat down with ET correspondent Ashley Crossan and quickly got personal, according to a clip of the interview released by ET. “Are you married?” the legendary actor, now 80, asked Crossan. “Fool around with older guys? I’m just asking,” he said. When the interview ended, Crossan shook Freeman’s hand. “Pleasure to meet you,” she said. In a 2015 interview with ET special correspondent Janet Mock for the film “Five Flights Up,” Freeman turned the subject to Mock’s skirt length and legs. Mock, a TV writer, bestselling author and transgender rights activist, told ET she considered the comments disrespectful. “This interaction is an exhibition of the casual nature at which men in positions of power believe that everything belongs to them, including women’s bodies as they’re merely just trying to do their job,” she said. “For me, as a young woman of color, who is a reporter and a fan of popular culture, I was deeply disappointed that someone who was seen as America’s grandfather was susceptible to such disturbing behavior and felt comfortable enough to do that as cameras were rolling, and that he could take claim of my body and look at it before even looking into my eyes,” she said. In the CNN exposé published Thursday, eight women said Freeman subjected them to varying degrees of sexual harassment in workplace situations where the balance of power was clearly tipped in his favor. One 20-something production assistant who was not named said Freeman asked if she was wearing any underwear and tried to lift her skirt on the set of “Going In Style” in 2015. CNN reporter Chloe Melas worked on the months-long CNN investigation after Freeman made inappropriate comments to her during a press junket for “Going In Style,” she said. A clip of that interview released by CNN showed Freeman sitting between his co-stars Alan Arkin and Michael Caine as he addressed Melas. “Boy, do I wish I was there,” he said, his eyes scanning Melas up and down. Both Arkin and Caine turned to look at Freeman when he made the comment. In a statement released after the CNN report went public, Freeman said he never intentionally harassed anyone. “Anyone who knows me or has worked with me knows I am not someone who would intentionally offend or knowingly make anyone feel uneasy. I apologize to anyone who felt uncomfortable or disrespected – that was never my intent,” he said.